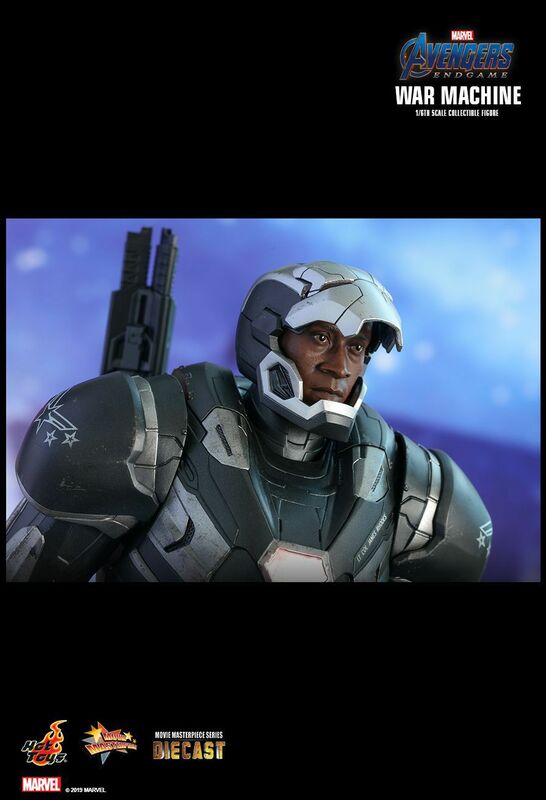 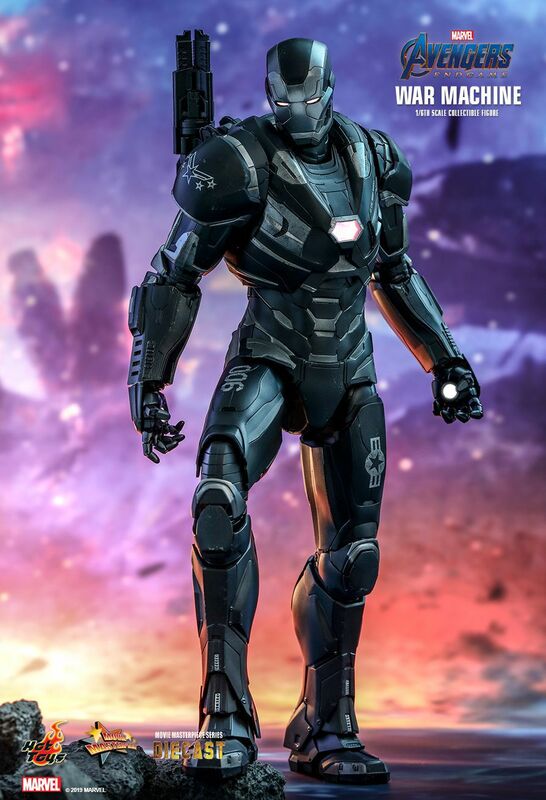 More than just Tony Stark’s best friend, Rhodey is a highly decorated combat pilot and a member of the Avengers. 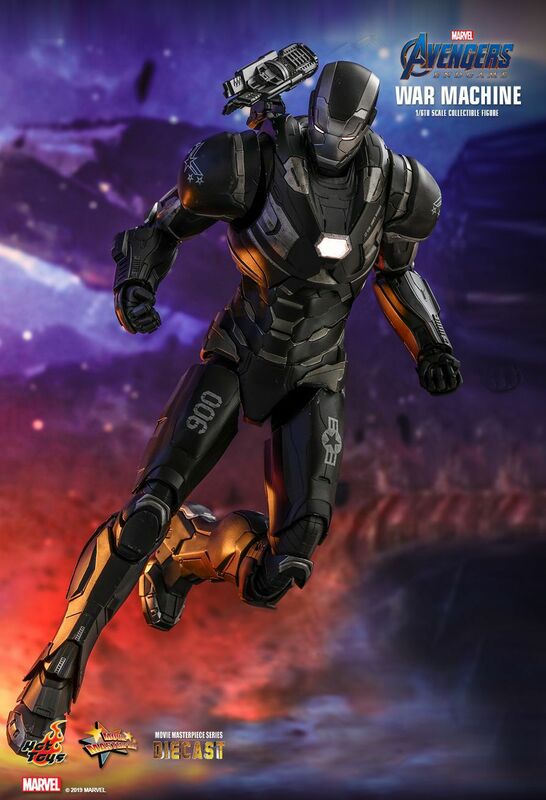 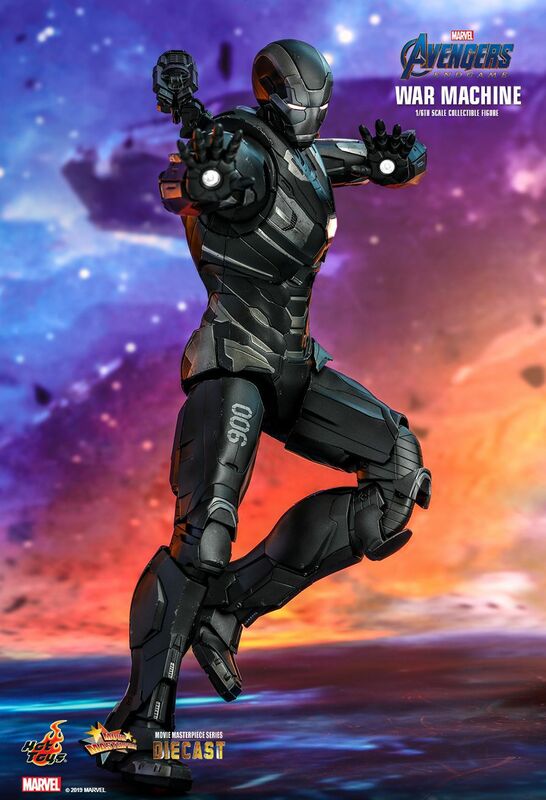 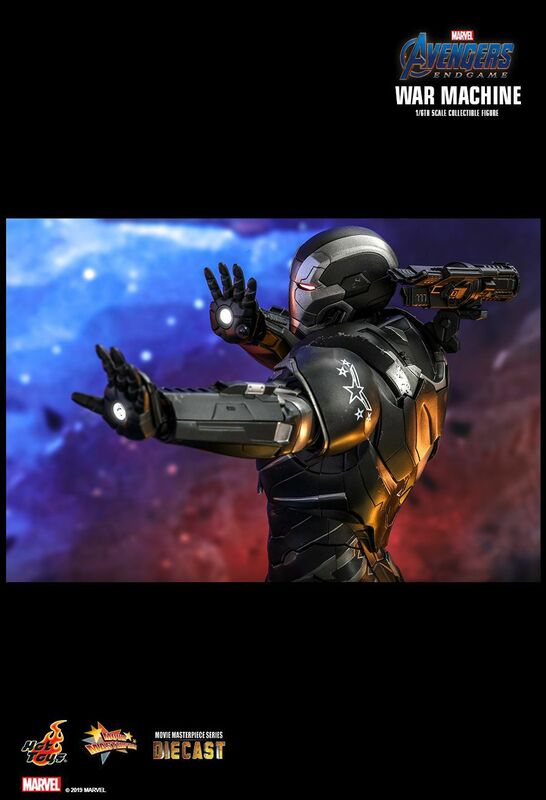 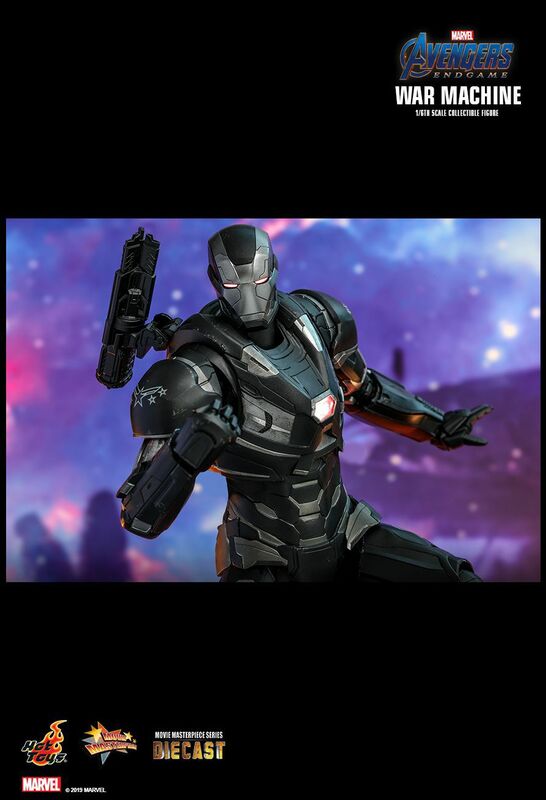 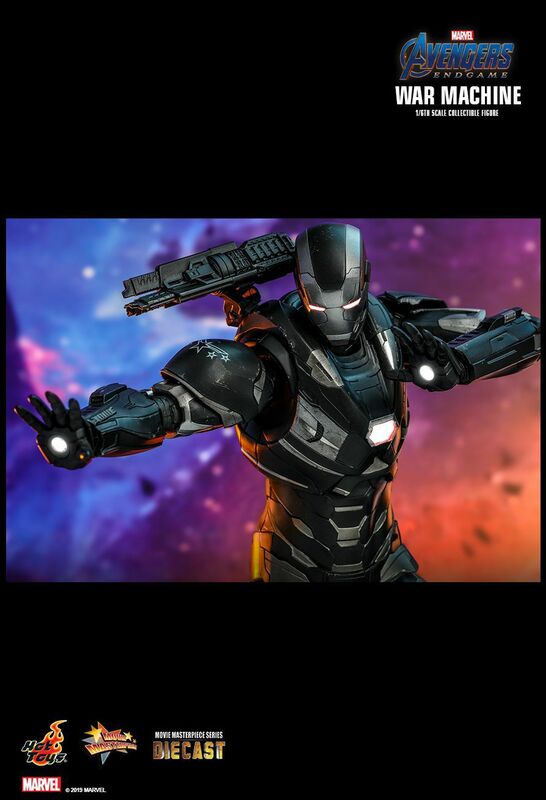 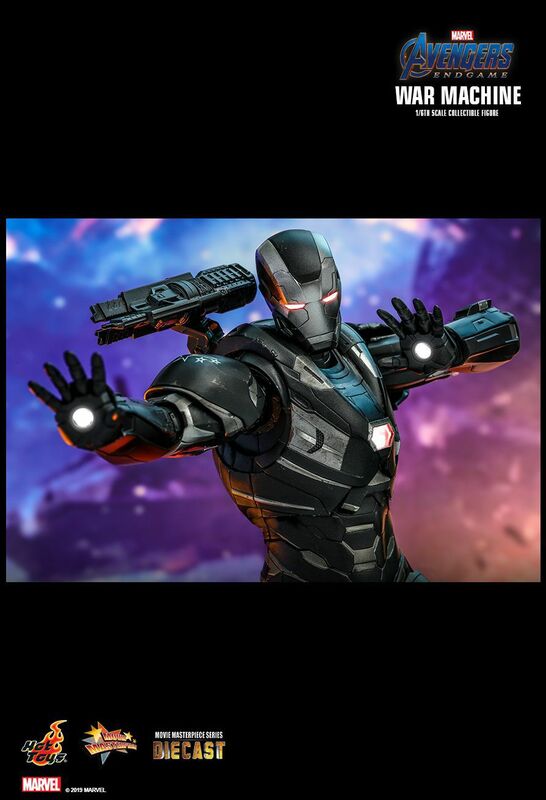 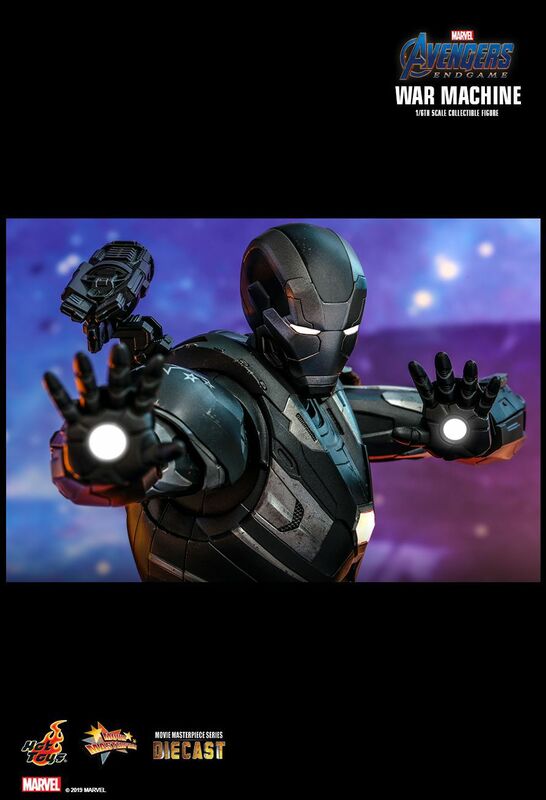 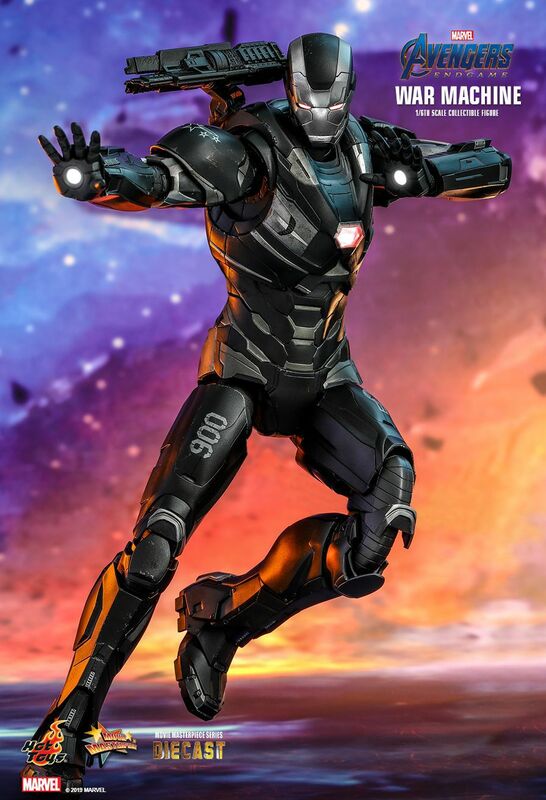 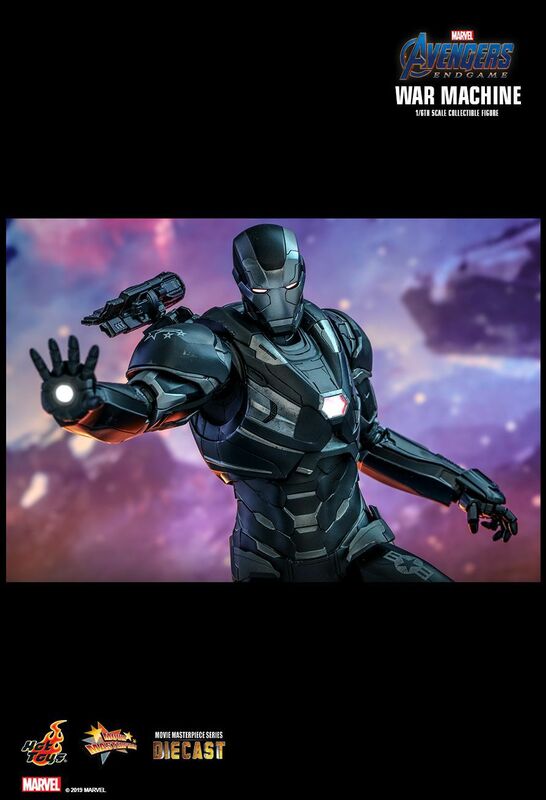 Finally comfortable wearing the War Machine armor built by Stark tech, he will need his entire military arsenal to take on the threat looming in the cosmic shadows. 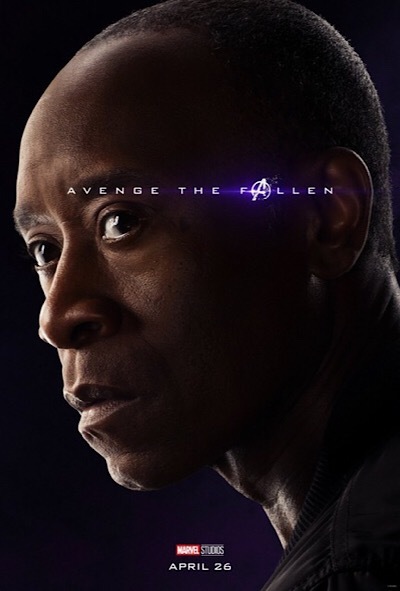 Surviving after the events of Avengers: Infinity War, he has to place his trust in his fellow heroes to save the world. 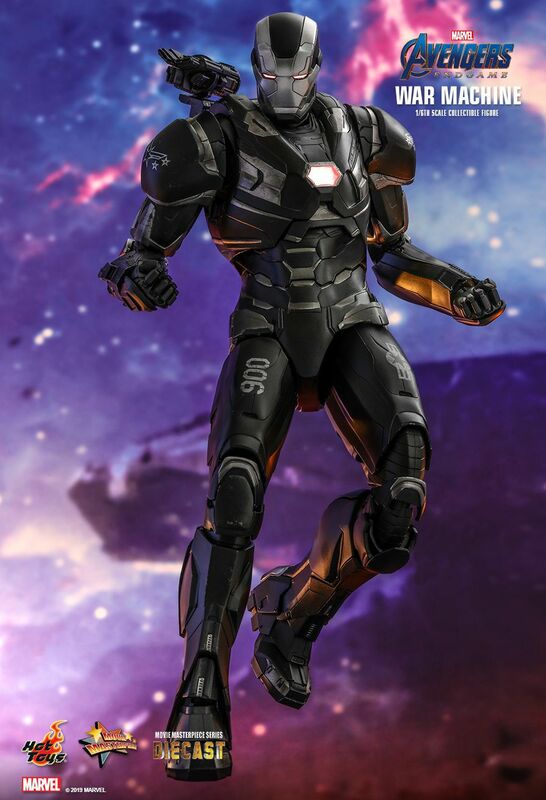 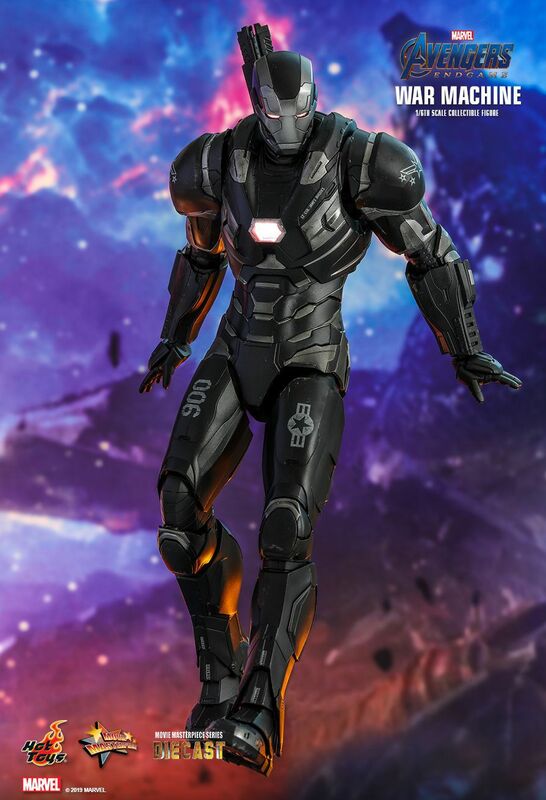 Hot Toys is extremely thrilled today to introduce the 1/6th scale War Machine collectible figure from the epic screenplay Avengers: Endgame. 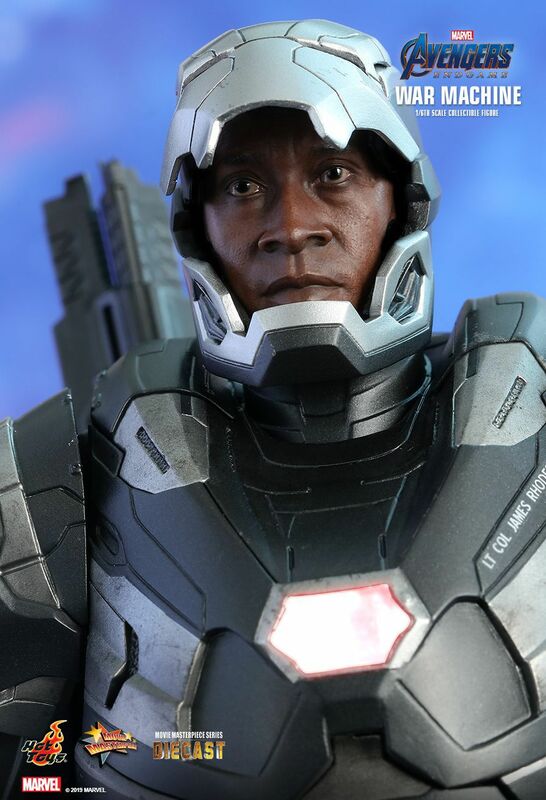 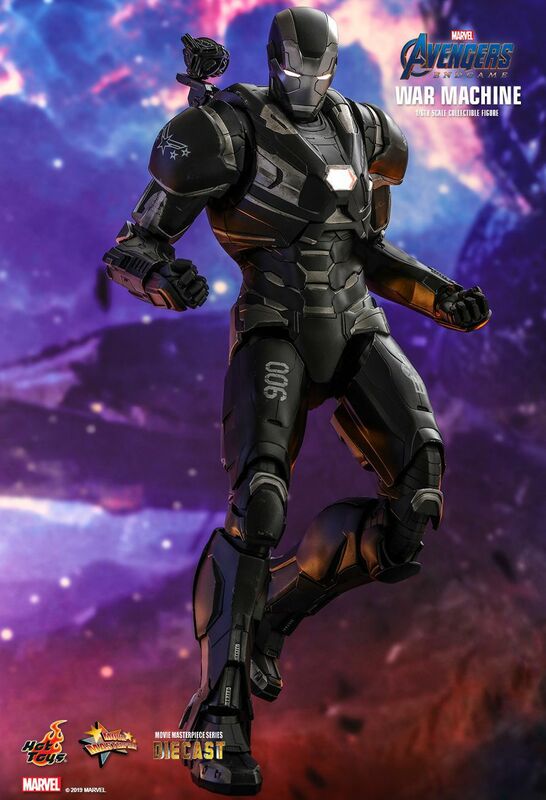 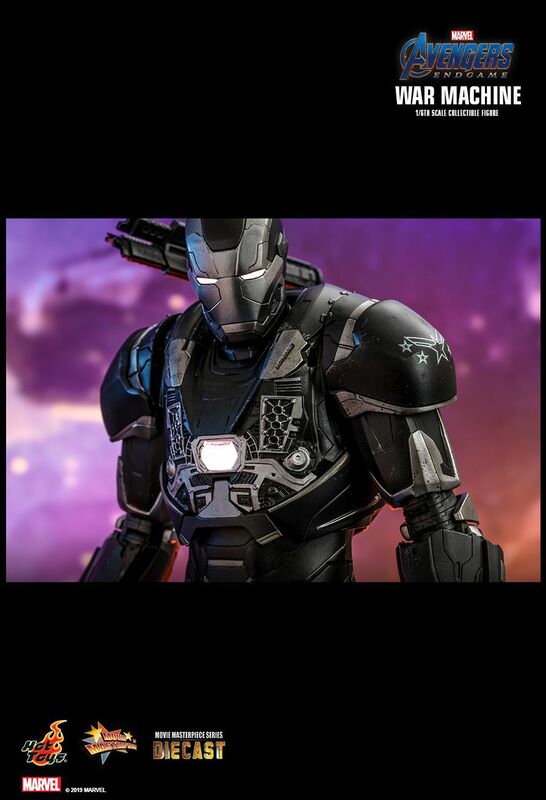 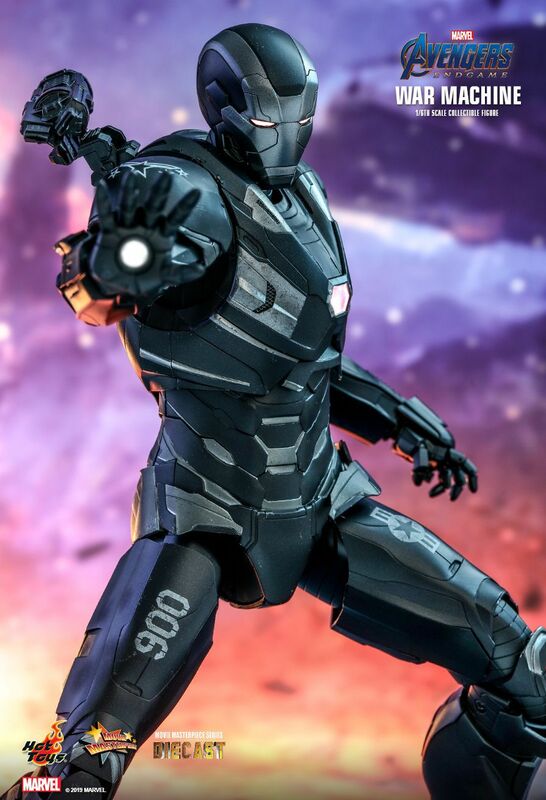 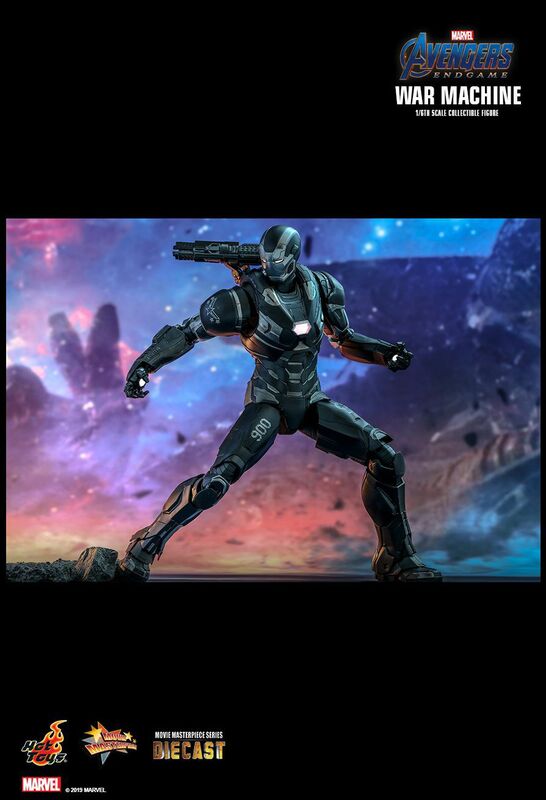 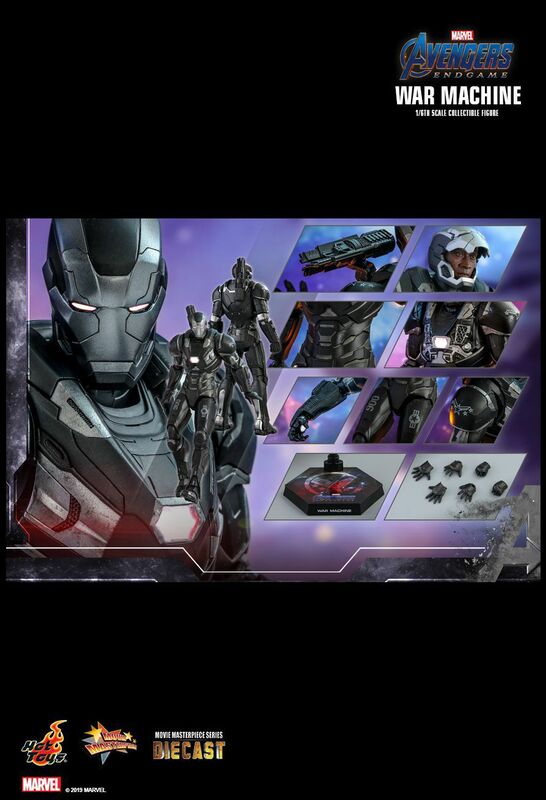 Specially crafted in diecast material, the true-to-movie collectible figure is beautifully designed with impressive detailing based on the appearance of Don Cheadle as James Rhodes/War Machine in Avengers: Endgame. 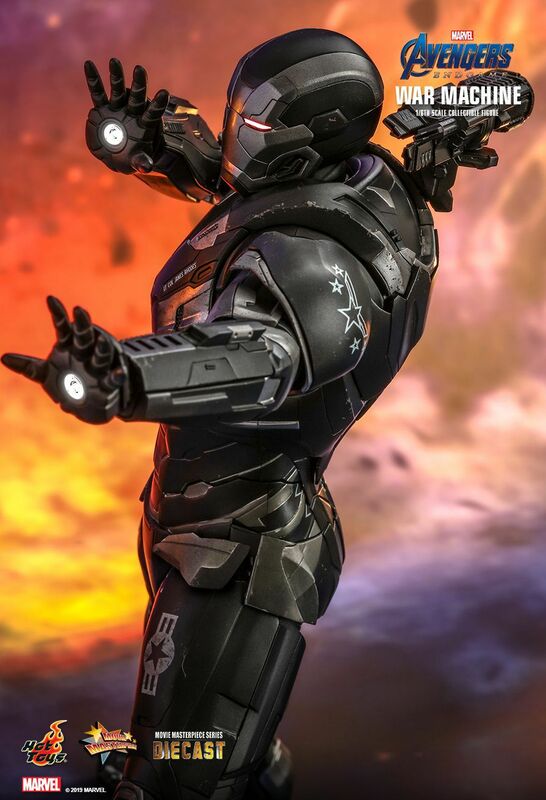 The weaponized War Machine figure with highly noticeable visual upgrade features a newly painted helmeted head sculpt and a helmet head with LED light-up function, armor suits painted in grayish black and silver with white decals, LED light-up Arc Reactor on chest and repuslors on palms, an articulated back-mounted machine gun, and a specially designed movie themed figure stand! 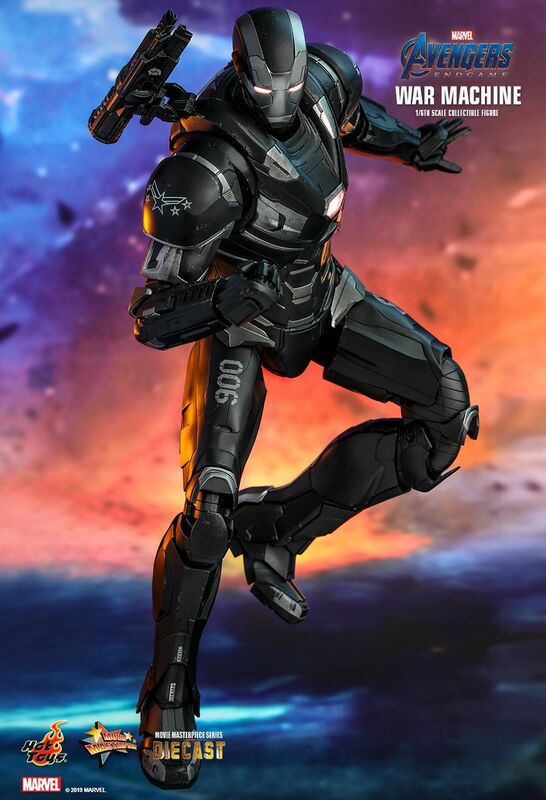 Die weißen Quantum-Outfits kommen bestimmt alle auch noch.